This is probably the healthiest recipe I ever posted! 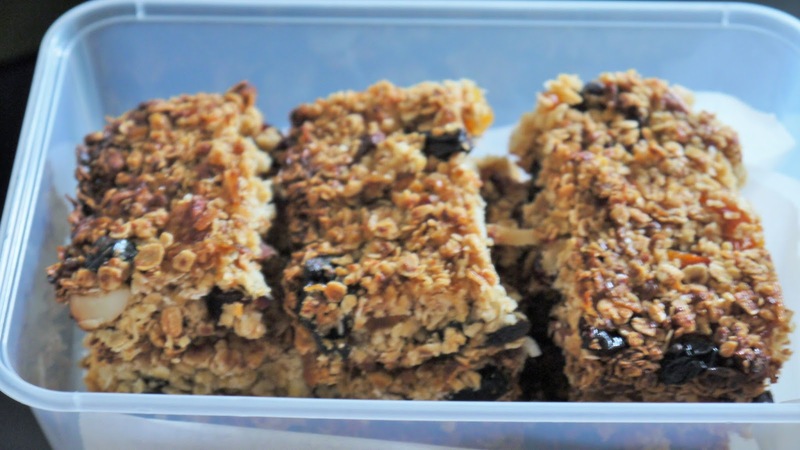 I have made these Granola Bars many times, and I should share this with you sooner. I usually bake my home made granola bars when I have trail walks with my fellow walkers. 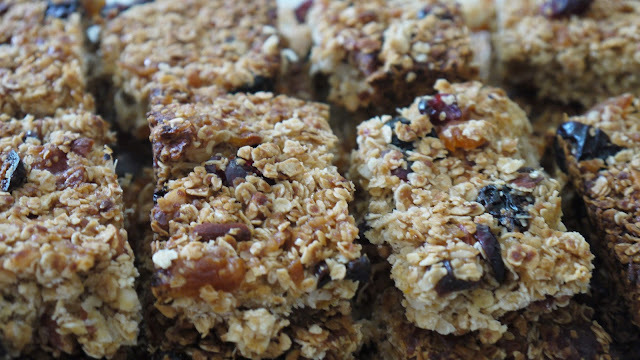 Our trail walks are usually about 13-15km and these are good to fill the hungry walkers' stomach along the way. Granola bars can be easily baked at home. Made with no added sugar and using only natural raw ingredients, they are a good meal replacement for dieters, and a nutritious snack for growing teens. You can also add milk and eat them like your morning cereal. Toast the above in 180C oven for 10 minutes. Add these into the hot toasted oats, nuts and coconuts. Stir and mix. Press into a 9" x 11" brownie tray. Press and pack as tightly as possible. Bake in 175C for 20-25 mins. Leave to cool completely before cutting into bars. Store bars in freezer to keep them crisp. 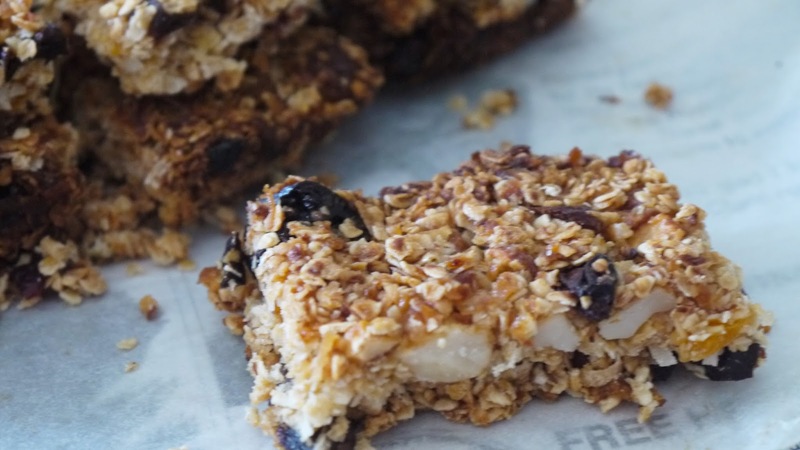 Yes, with few natural raw ingredients to make some healthy Granola bars. Thanks for sharing. I'm the only one in the family who enjoy granola bars. So I seldom make it, but when I do, I'll finish almost all of it myself!